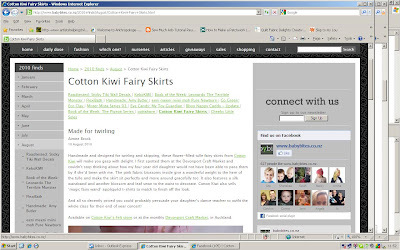 My Creative Space should be making a whole pile of flower filled fairy skirts after the lovely write up about them by Aimee on the Baby Bites website. 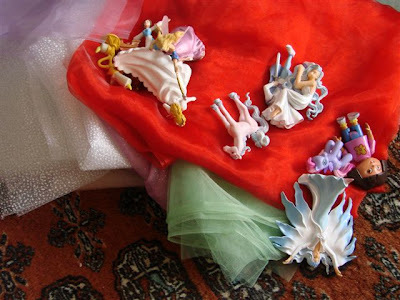 I've done all the cutting out, but the pile of tulle has been hijacked for fairy mountain purposes so the sewing is just going to have to wait until the fairies (and Dora) have moved on with their adventure. The preperation is most of the work sometimes! At least you are prepared when you do get time to sew! Hope Dora and the fairies move on for you soon. Those fairies don't look like they're goin' anywhere! I couldn't think of a better use for tulle myself than fairy mountains. Too cute. I have been making ninja costumes for my childrens toys at thier request out of my own dwindling stash of felts-the things we do, hey?! 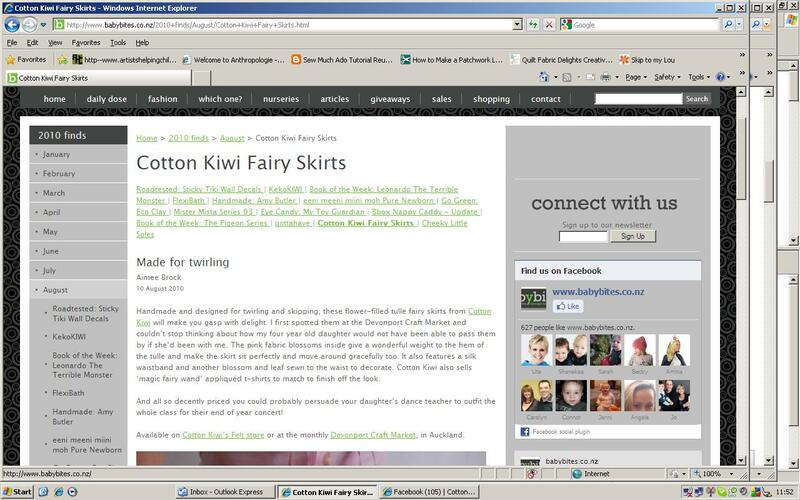 Happy to see your work getting some great recongition! Dora always tags along in our house as well...what's with that? ?